Buying or selling a home is one of life’s most significant transactions for many, and being presented with stacks of paperwork and columns of numbers when it is time to close the deal can be daunting. Many people are not aware that–for virtually the same cost as a title agency–an attorney capable of providing legal advice about what serves their best interests can handle the closing, and if an issue arises can take any legal steps necessary to resolve it. While many real estate transactions are completed without a hitch, running into problems is not uncommon in south Florida. 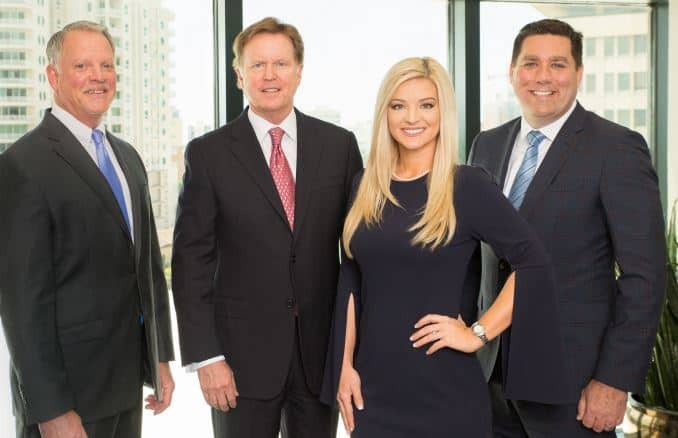 “With the velocity of deals that are completed in the good times, things can get missed, such as mortgage claims against the property and other issues,” said Sam Norton, an attorney and shareholder of Norton, Hammersley, Lopez and Skokos, a Sarasota law firm concentrating in real estate, business, tax, trial practice, and dispute resolution. Both title company agents and attorneys will do title searches and work with insurance companies to obtain policies to protect against known risks by paying the costs of defending a claim against the prop- erty if something is missed in the title search. Risks could include unpaid taxes, mortgage claims or liens on the property, easement rights given to others, and property encroachments. Title insurance policies also may outline exceptions to what the policy will cover. “A non-attorney agent will not always review the exceptions and advise whether they are good, bad or indifferent for the client,” attorney Peter Skokos said. “People generally have a use in mind when they purchase the property, and we can advise whether that property is suitable for their needs or not. Someone may be willing to go ahead with a purchase and take the risk that an issue won’t arise, but it may have an adverse effect on lenders or could limit who is willing to buy the property in the future.” Attorneys also review zoning and the voluminous governing documents for homeowners or condominium associations to ensure there are no unpleasant surprises, such as finding out a desired renovation won’t be approved or a long-time canine companion can’t reside with the family because she doesn’t meet size restrictions for pets. Norton Hammersley attorneys have a fiduciary relationship with clients, meaning they must always work in their best interests, and they are accustomed to reviewing documents with a great degree of thoroughness, which has worked to the benefit of clients. In one case, a client was purchasing an expensive piece of waterfront property and wished to build a new residence. The property had been bought and sold many times over the years, but attorney Michael Infanti read a barely legible restriction drafted by the original property owner in 1935 requiring his approval for any residences constructed.